"La Redoma de Petare” (or the Petare roundabout)located in the north east of Caracas is one of the most intriguing places of the Venezuelan capital. It is a turning point where the largest pedestrian activity, attending the localities of El Llanito, La Urbina, Palo Verde, and the Francisco de Miranda Avenue. The latter being one of the main circulation roads of the city." “La Redoma” stands next to the historic centre of Petare, and represents the entrance to the Jose Felix Rivas and Petare barrio (Spanish word for slum), the most emblematic slum in Caracas due to its extension and density. Petare expands across “el cerro” (the mountain), gaining great heights allowing it to overlook the formal city resting in the Valley. 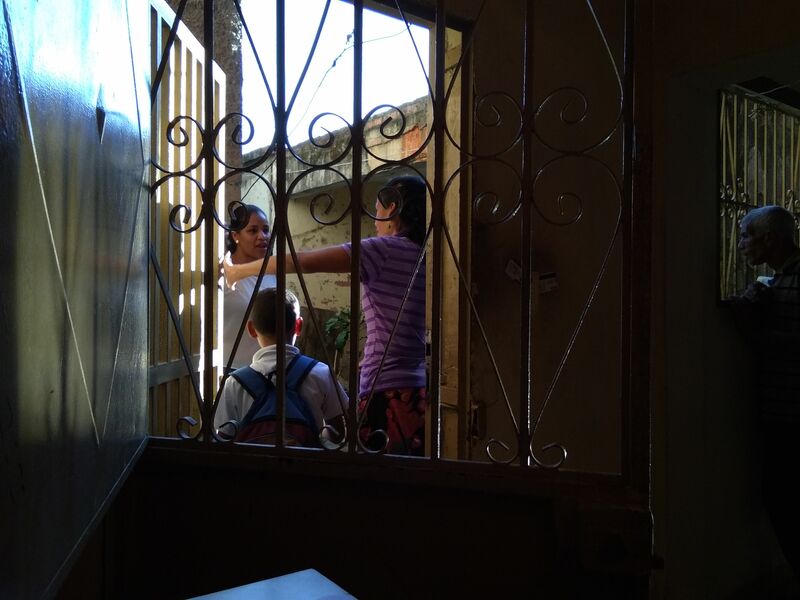 In the Redoma, is where slum dwellers can access both formal and informal public transport to commute to their job providers in Caracas. 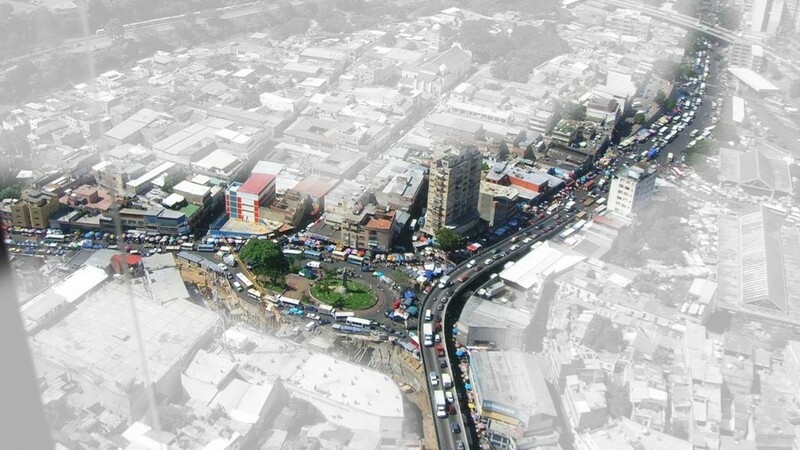 “La Redoma de Petare” is one of the rare points in the fragmented city where formal and informal coexist. This is where our open discussion in the Urbz office around the comparison between Caracas and Mumbai begun. 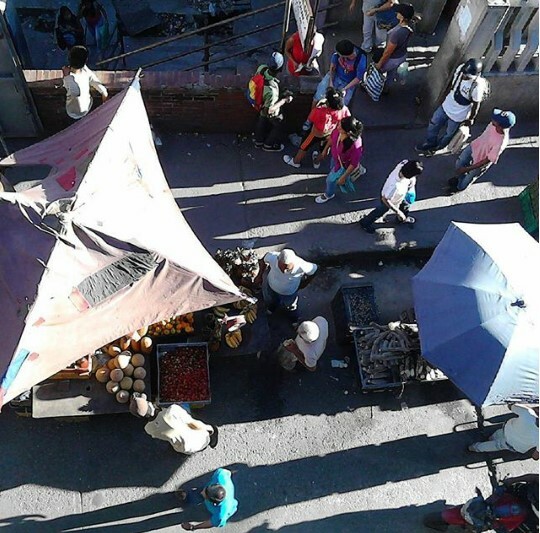 Despite the economic crisis that Venezuela was and is still facing, La Redoma remains economically active, with street vendors fighting over space to set their stalls. 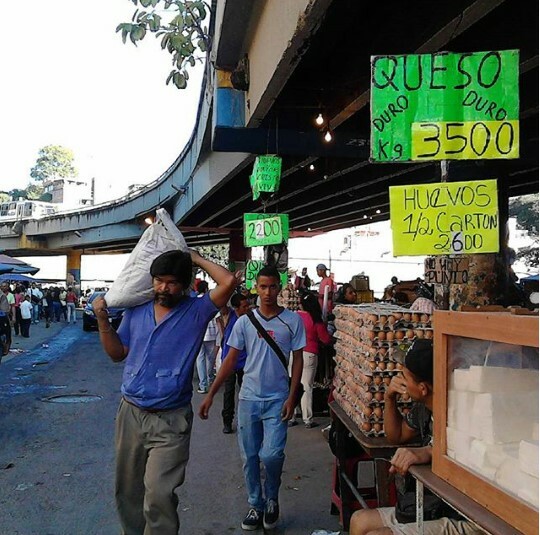 The formal establishments that define the space of“La Redoma” are mostly broke and shut down, but in what was their main entrances “buhoneros” (street vendors) stand today. 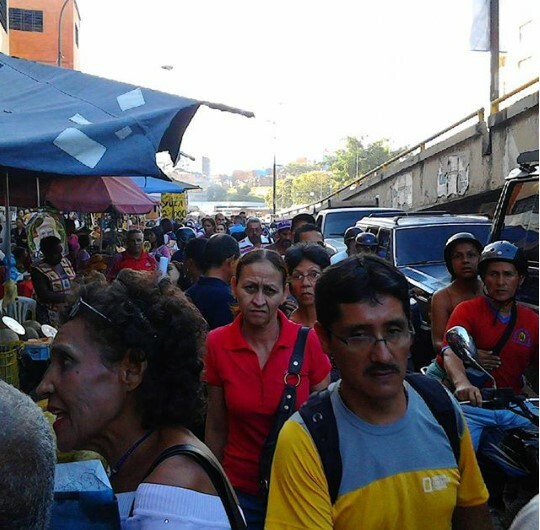 Through conversations with them, it is clear that the informal economy of Petare is vital and has survived against the city hall’s wishes and against the high costs of bribing for the last 50 years. The economic crisis had only multiplied it due to the thousands of workers who lost their jobs and are forced into the informal economy to make a living. “Buhoneros” are not invaders of streets, as they are commonly called by the general public. They are an alternative to the difficulties of commuting out of informal settlements to access job opportunities that are scarcer every day. Not different from the thousands of industries and shops that make up what Dharavi is for Mumbai. Venezuela academics have debated for long on how to transfer this dynamic activity and liveliness to the informal settlement, and this is something that Dharavi does organically. Dharavi is a particularly porous agglomeration of constructions, with no clear limit between the formal and informal city. 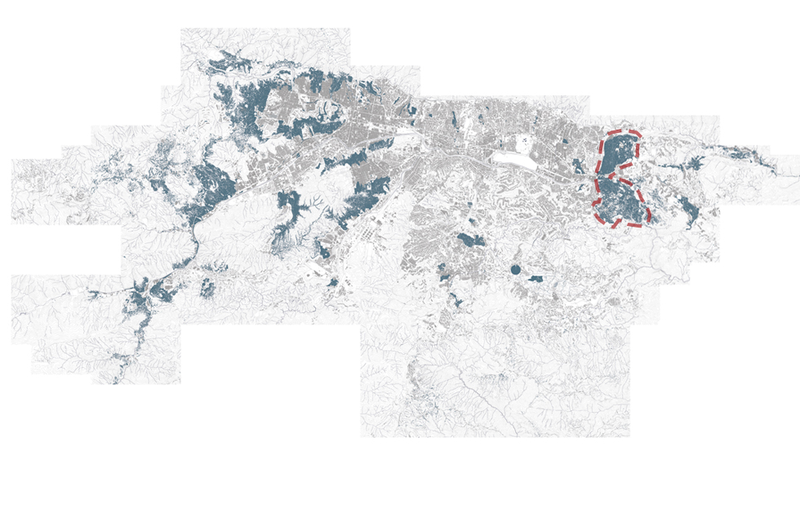 In stark contrast to Venezuela where topography acts as a barrier, Dharavi is an urban tissue that is fully integrated to the city spatially. This integration is the result of thousands and millions of economic and social relationships that make up the prosperous web that is Dharavi. 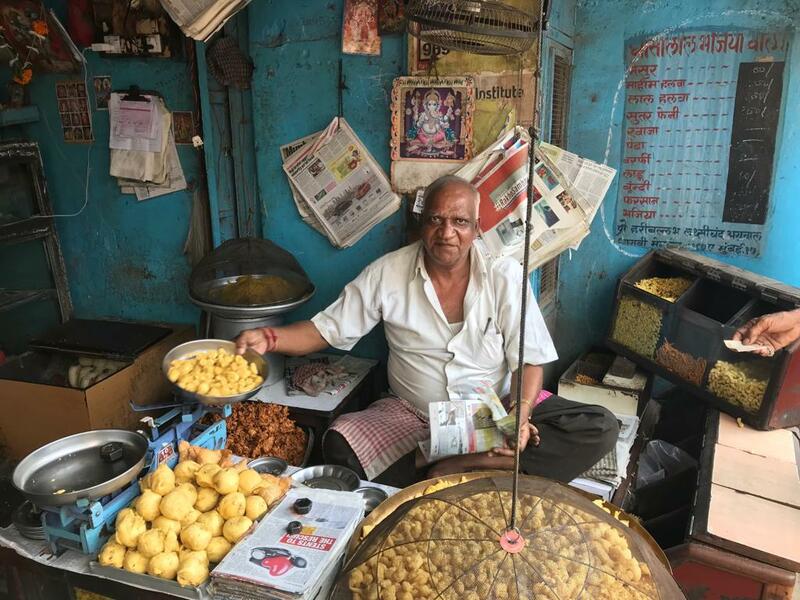 These relationships do not limit themselves to the “boundaries” of Dharavi, having established commercial ties with the biggest markets of Dharavi and the rest of the city. 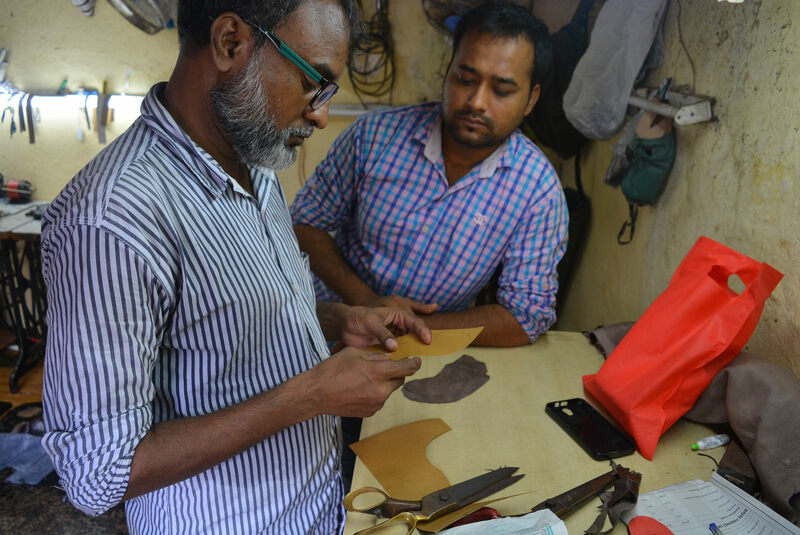 Dharavi proposes a new model of city, where the flexibility of space as well as the clustering of uses, allows entrepreneurs to save costs in transportation and raw materials. As well as, allowing women into the workforce and reduce costs of production by merging their homes and their livelihoods. All this despite the losses posed by the necessary bribing of government officials, police forces and else; as well as now formal regulations through taxation. Something that barrios could learn a lot from, allowing them to create job opportunities from within. Nevertheless, even though Petare isn’t able to provide jobs for most of the population and doesn’t even come close to the level of production of Dharavi, it still has better living conditions than Dharavi. The staggering production capacity of Dharavi should translate into a general improvement of the community by the reimbursement of the revenue into roads, basic infrastructure, and the quality of homes. 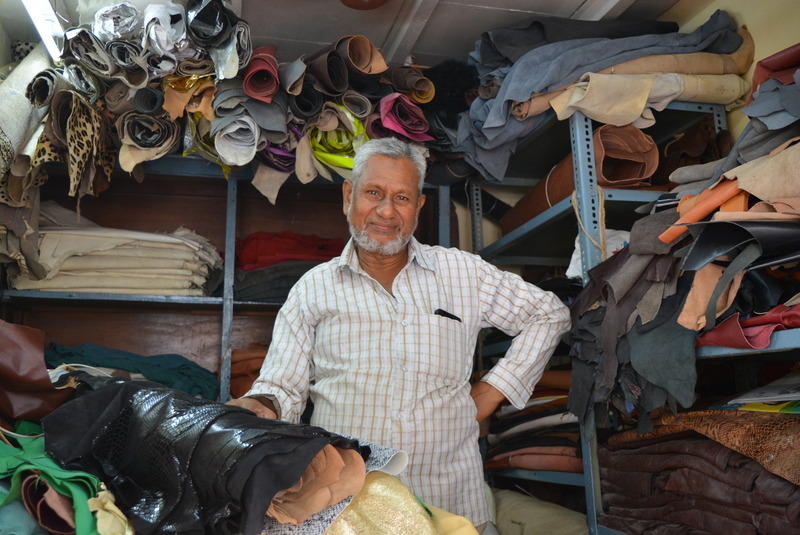 But as Shyam Kanle, a local shop owner and part of the Urbz team explains, investing in the quality of their homes and their industries isn’t a safe investment. Everything could be taken from them at any time. The safety of land tenureship in Mumbai is a foreign term, most of the land that compose the hyperdense city of Mumbai is to these day on lease. What guarantees your safety is your political and economic power, and your ties. Occupancy rights, are only temporary, which means that Dharavi’s inhabitants live on a constant fear of being relocated, a stark contrast with the homes of Petare which are their owner’s pride. They represent years of hard work and the year to year improvement of their quality of life thanks to government policies which turned away from redevelopment policies into slum upgrading through programs like “Habilitación Fisica de Barrios” in the early 90’s. 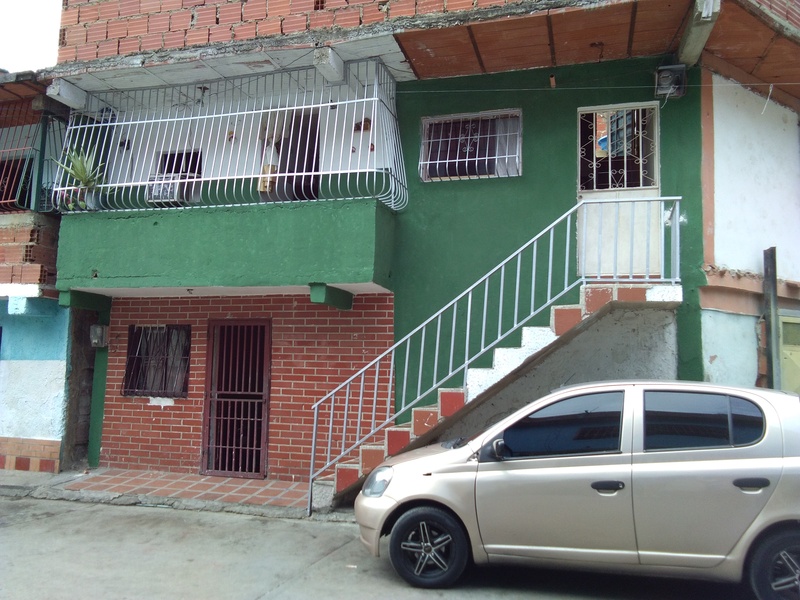 In Venezuela, slum dwellers don’t count with property rights, but their occupancy rights are enough to guarantee that they won’t be relocated. The slum-upgrading movement began in Latin America when government’s understood that they were never going to be able to effectively relocate a fast growing population. India’s government, with what will be the largest population of the world, with an estimated 60% of the population of cities living in informal settlements still believes they will be able to successfully relocate all slumdwellers. The failures of slum relocation policies also ignore the fact that more than their physical homes, informal settlement’s biggest asset is the community ties that formed them and maintain them as well as the freedom of use of their homes. The reason as to why slumdwellers when relocated, rent out these apartments and go back to the slum is the same in both contexts. What brings these communities to informal settlements isn’t just the fact that they can have a home but the ties they have established over years of hardships with their neighbours, as well as the livelihoods that their homes can provide them. A clear example of this sits between New Transit Camp and Social Nagar, a Slum Rehabilitation Authority complex of 4 buildings in partial state of abandonment. 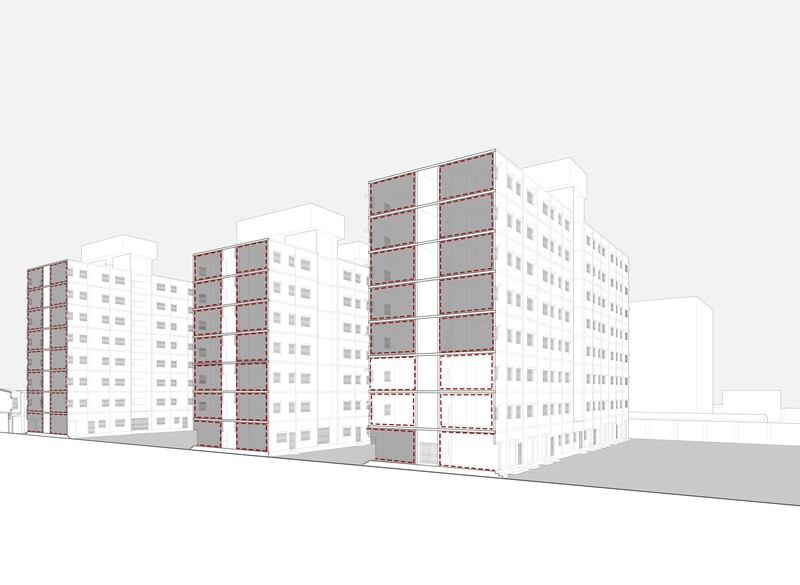 What was meant to house 368 families is now home to only 37, and represents a waste of land in one of the most highly dense urban tissues in the world. 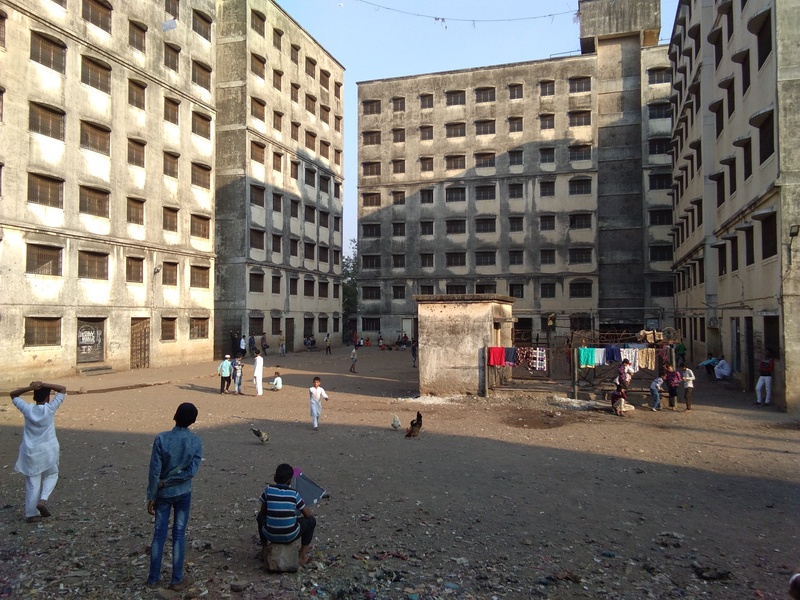 As Bhau Korde explained, a social activist and resident of Dharavi as well as part of the Urbz tam, the land was cleared up, and these slum dwellers were meant to live in these apartment building of 21 square meters each. What living in these apartments meant though to slum dwellers was losing their livelihoods, the main reason why they established themselves in Dharavi in the first place. Bhau explains that Dharavi represents to its inhabitants an escape from oppression and poverty in their rural villages. Even when they are still stigmatized by the formal city, they are free to prosper and thrive in the 535 acres of land that compose Dharavi. For the first inhabitants of Dharavi, that were allowed to occupy the land by the Kolis, Dharavi was the place where they were able to make a living by working independently. Despite open sewages, heaps of trash, constant bribing and power abuses, Dharavi still represents a better alternative than that which their villages would have ever been able to provide. The history of occupation of Dharavi explains why the main industries can be traced back to “impure” practices reserved for Dalit communities of different regions of India, like pottery, leather tanning and textiles. 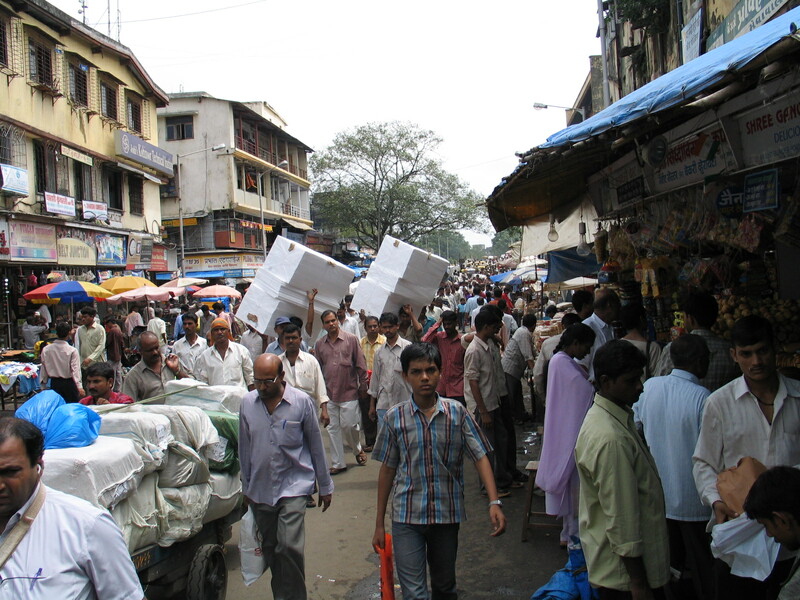 The rejection of these “unhabitable marshlands” by Indian authorities explains how they were able to reduce costs by avoiding taxation and the stigmatization towards businesses in Dharavi by the formal city, kept their money out of banks and constantly circulating through informal loans providing easy access to cash for new entrepreneurs. In the case of Caracas, Petare represented an economically accessible place for the working class to live while they worked in industries of the Venezuelan capital. Through relocation policies the only result is taking away the livelihood of the most vulnerable part of society. Both Petare and Dharavi’s largest problem is governments which claim to work in their benefit, while they continue to apply relocation and housing policies that only make their lives harder. Venezuela’s living example is the socialist “revolution” which claims to look after the slum-dwellers interest while they cancel slum upgrading policy programs, destroy national industries and hence slum-dweller job opportunities and then chase after buhoneros every January in “la Redoma” so they depend solely on the government’s benefits. Today these benefits are reduced to a box of basic food products monthly delivered at their homes with no possibility of ever improving their living conditions. View of the formal city from the top of the "Cerro"